As a boy he dreamed of being a spy undercover behind enemy lines. As a man he found himself undercover for God. 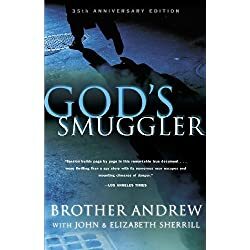 Brother Andrew was his name and for decades his life story, recounted in God’s Smuggler, has awed and inspired millions. The bestseller tells of the young Dutch factory worker’s incredible efforts to transport Bibles across closed borders – and the miraculous ways in which God provided for him every step of the way.